Have you ever combined two of your favorite foods? Well, we did. And our minds are BLOWN. 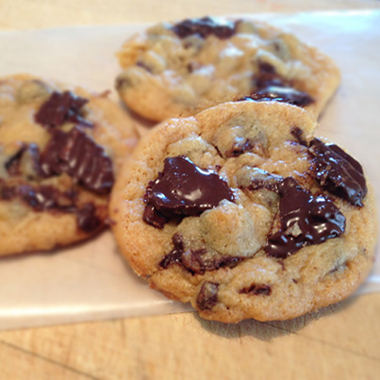 We added our salty but sweet chocolate covered potato chips to classic chocolate chip cookie dough and are pretty confident it was the best idea we’ve ever had. MIX flour, baking soda and salt in a bowl. Beat butter, granulated sugar, brown sugar and vanilla in a larger mixing bowl until creamy. One at a time, add eggs. Gradually add in flour mixture. Gently stir in chocolate chips and crushed chocolate covered potato chips. Place rounded tablespoons onto ungreased baking sheets. BAKE for 9-11 minutes. Cool.